If anyone needed proof that truth is stranger than fiction, here it is. Darlington light-middleweight contender Francis 'The Rat' Jones is being lined up as the comeback opponent for Ghana's modern great Ike Quartey. Quartey won the WBA welterweight title in 1994 by stopping the then unbeaten Cristano Espana and racked up seven successful defences (most of them by knockout) before dropping a hotly-contested split decision against Oscar De La Hoya. 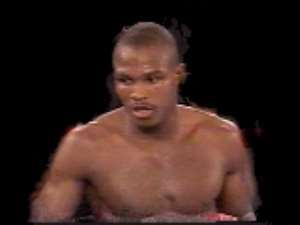 Quartey only had one more fight after that defeat, a points loss to Fernando Vargas in a tilt at the IBF light-middleweight title. That was back in April 2000 but the clamour of the Ghanaian people for their national hero to return to the ring has never abated. Quartey, now 35, finally gave in to the wishes of his countrymen in October and signed a promotional deal with Lou Di Bella of American cable TV company HBO. The African has been in training and a date of 14th January, in Ghana's capital Accra, has been pencilled in. “I'd be honoured to share the same ring as him. If it comes off, I'll definitely be trying my best,” said Jones, 23. “My name is just one in the hat at the minute but I've made it very clear that I want the fight. Indications are that I very well might just get it! As soon as I heard I was in the running, I made it very clear that I would take the fight.” It is scheduled to be over the ten round distance. Jones is unbeaten but at 8-0-2-1 is still learning his trade. Going from sparking Paul Lomax in Hartlepool to travelling to one of the world's boxing capitals to face Ike Quartey would surely be one of the biggest leaps made in the sport's recent history. It would be unbelievable if it came off. Where's my passport? !